Specializing in data recovery systems and services, Stellar Phoenix Data Recovery brings a unique solution to ensure that you never have to worry about lost files again. A commercial grade software, the data recovery software can be used to recover data and information for the do-it-yourself person. Resourceful and easy to use, Stellar Phoenix Data Recovery gives users the chance to be their own saviors and take matters into their own hands. Receive a 10% discount through our website upon purchase! The number one reason why data recovery is not given as much importance as it truly deserves is because people do not quite grasp the severity of the problem. As unfortunate as it may sound, effective and cost-efficient families of data recovery software such as Stellar Phoenix Data Recovery have already come into existence in order to make the process simpler for individuals and enterprises alike, but data security is still constantly put on the back burner. The Cost of Lost Data, a paper published in the year 2000, revealed that as many as 15% of all PCs will suffer from data loss in any given year. Based on this prediction, every year brings with it hundreds of millions of episodes of loss of crucial data. A study conducted by the Ponemon Institute revealed that cyber attacks compromising IT infrastructure and/or data affected as many as 54% of the companies surveyed in the year 2017. The British Office for National Statistics (ONS) reported a 145% increase in cyber crimes and attempts of data fraud or theft on businesses in the country in the year 2017. These statistics alone are enough of a measure of how data loss is a problem that has reached epidemic proportions and that practical and plausible solutions need to be sought for data loss. If data recovery services are not incorporated into our business strategies and in our homes, we will really have no one to blame for lost data and files that may contain confidential information. Contrary to popular belief, cyber crimes such as virus attacks and other attempts to commit fraud or theft are not the only reasons why people lose access to critical information that is stored on their systems. In addition to the above, data can be lost due to a number of other reasons including system failure, software corruption, human errors, natural disasters and several other factors. Over the last few years, malware and viruses have been making headlines – for all the wrong reasons – more than ever before. Much like the products and solutions that have emerged in the world of technology in recent times, malware and viruses have also become far more advanced and are capable of doing far more damage than ever before. Considering the hike in cyber attacks recently, there’s a very high chance that you’ll end up losing all of your important files and data if you don’t have a proper data recovery software or systems in place. While malware such as ransomware prevent you from accessing your data without a ransom, viruses render them unreadable so that you can no longer use them. System failure is another very common reason why people end up losing files and folders that they’ve been holding on to for years and decades without making backups. As surprising as it may be, even large corporations end up losing critical data due to system failure – and that enough should be reason for you to frequently back up your files and implement a data recovery system in your home or business as well. In case you didn’t know, corrupted software can cause data and information to be erased and completely wiped off of your drives, leaving you with no access to them. Without a data recovery software or solution, problems like software corruption can cause you to lose all of your data in the blink of an eye. While this may be difficult to believe, human error is also one of the reasons why people end up losing access to their data. In some cases, data is accidentally deleted, overwritten, or renamed, rendering it inaccessible or useless. What Makes Stellar Phoenix Data Recovery Software Different? As data recovery professionals, we understand the problems and concerns that individuals and businesses have when it comes to data recovery. In addition to the stress it causes, lost data makes it extremely difficult to continue with your tasks, processes, activities and operations. And that’s exactly why the Stellar Phoenix data recovery software acts as a holistic solution for data lost due to several different reasons. A commercial grade software, Stellar Phoenix Data Recovery can not only be used by corporations and enterprises, but its easy-to-use interface and resourcefulness also makes it ideal for individuals who’d like to retrieve lost data and keep it secure. With customer satisfaction and convenience as the primary driving force behind its development, Stellar Phoenix Data Recovery can help you regain access to your lost files and data. (Again, please keep in mind that data recovery software will not work if you hard drive has a physical problem). Already used in-house by a number of professionals, Stellar Phoenix Data Recovery searches for your lost files and folders by scanning. This is a great plus in case you’re searching for a specific file or folder. Since it can be downloaded and used anywhere, Stellar Phoenix Data Recovery can also be tested by professionals in charge of IT departments to see how effective and efficient the solution is before implementing it on a larger scale. If you are experiencing certain error messages on your screen that pertain to hard drive failure, it is highly recommended to seek out a professional data recovery service provider. We must state again, that the only scenario in which the software won’t be able to retrieve data from your hard drive is in case the hard drive experienced a logical or mechanical failure – a scenario in which no software will be able to save or recover your data for you. For all other cases, the data recovery software works like a charm and can help you find your files in no time! Who Can Use Data Recovery Software? Ideal for both companies and individuals, Stellar Phoenix can be used by anyone who needs to retrieve files, data or any kind of information that has been lost or has been rendered inaccessible. The software is not only extremely strong and robust allowing it to be used for a number of scenarios, but it is also extremely efficient and effective in retrieving data and files. Whether you know the name of the file that you’re looking for or not, the data recovery software is the one-stop solution for all data recovery problems, ensuring that you can regain access to your data and files in no time. Prioritizing customer satisfaction above everything else, the Stellar Phoenix Data Recovery has been designed to have an extremely user-friendly interface to ensure that it is easy to use even if you aren’t too tech savvy. Since Stellar Phoenix Data Recovery software will be downloaded and installed directly on your computer, data recovery will be far more speedy and efficient than if you’d have to commute to a professional service provider – and possibly even leave your system there for a certain duration – just to get the job done. Contrary to popular belief, data recovery software are immensely effective and can easily help you regain access to all of your important files and folders. With just a few clicks, your entire hard drive will be scanned thoroughly by Stellar Phoenix to search for all files that you may have lost due to renaming or accidental deletion. Downloading and installing a data recovery software like Stellar Phoenix Data Recovery for all of your data recovery needs is a lot more affordable and convenient an option than waiting on a data recovery professional to take out the time and visit you and apply a solution that you could easily implement at home. We understand that losing critical data for any reason can be extremely problematic – and that’s exactly why this data recovery software has been designed to ensure that you can regain access to your files and folders without worrying about a thing. The Stellar Phoenix Data Recovery software can be utilized in all operating sytems. PC for Windows, HFS+ for MAC systems and even Linux operating systems. Since people can lose data due to a number of reasons, Stellar Phoenix Data Recovery software is extremely strong and robust, which means that it can efficiently and effectively be used to regain access to lost files and folders. They have many different software packages depending on your need. Customer support is fantastic compared to sending an email and hoping for a response. Stellar Phoenix Data Recovery caters to various different types of data loss and is highly adaptable to situations and circumstances. It doesn’t get better than having robust and powerful commercial-grade data recovery software installed in your very own system, does it? 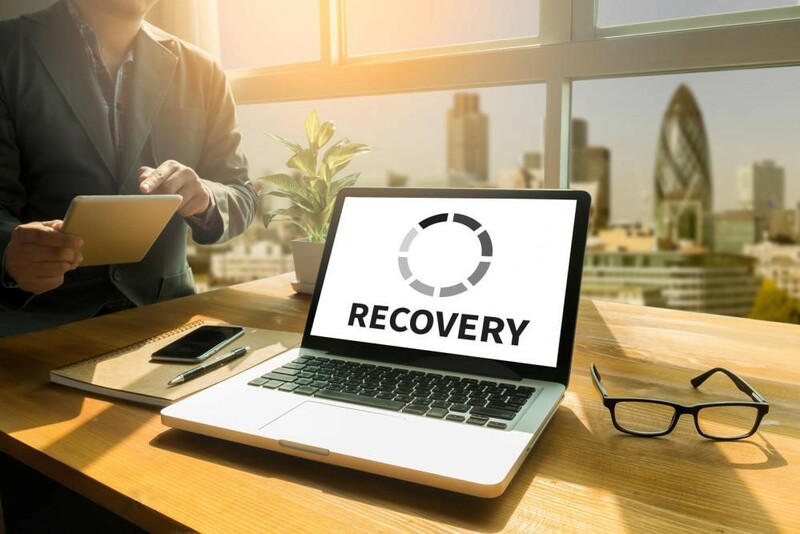 Recovery software available online with tremendous support options provides unmatched accessibility, allowing you to solve all of your data loss problems at the comfort of your home or office. Or if you would rather call or email us at Data Recovery Cincinnati LLC we would be happy to answer any questions you may have. Data Recovery Software specializing in robust data recovery software solutions that can help you recover important files and folders without spending a fortune. Here, you can learn more about how their latest unique software solutions can help you retrieve data and information with the click of a button.